Its official! Rapper, Askia is no longer with Alpha Better Records and we’ve got prove! 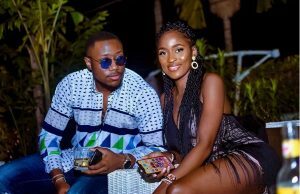 There’s been lingering rumors of Askia’s departure from Alpha Better Records following reports of alleged drug use and inconsistent music. 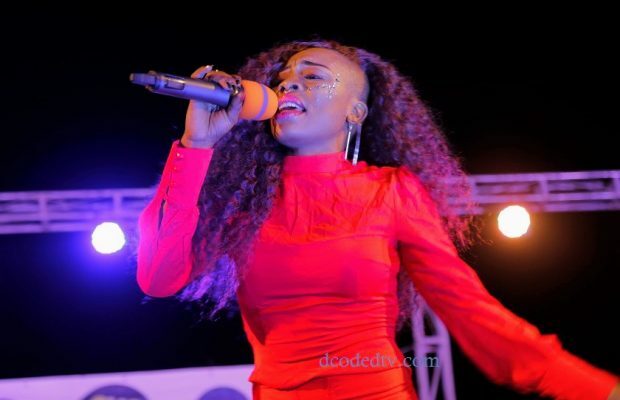 Without actually admitting to her career divorce, an inside source tells us that Askia was having difficulties relating to the new music her label wanted her to make and felt ‘trapped’ in a world she was never comfortable with. “Askia didn’t want to sing like Salatiel was trying to make her do. She is a rapper who wanted to do rap music. So, she felt locked up in that world and wasn’t giving her best self as an artist. She was struggling to be good, something no artist wants to do,” said the source. 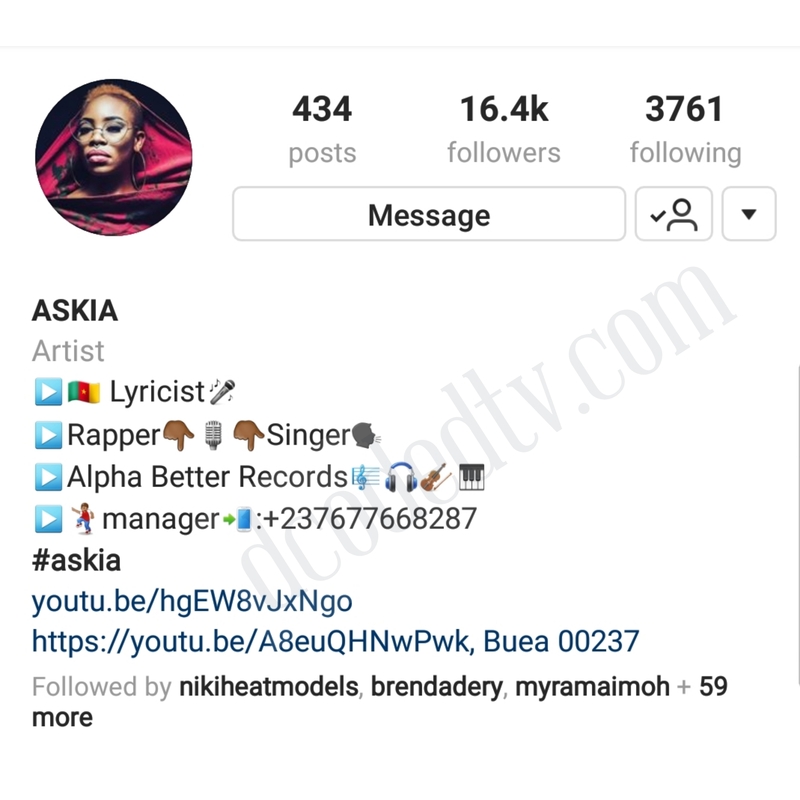 Askia has always debunked claims of her separation from the label and even told a curious fan on Instagram that it’s not true. But that was back in August. As of September 24, the rapper had changed her profile info on Instagram, taking down Alpha Better Records as her music home. However, she’s gone ahead to work with other producers, including Edi Le Drae, to release several singles like, Let’s Talk, Corps A Corps, Mami Bakala, Another One and the now accused ripped song, Na How Eh? 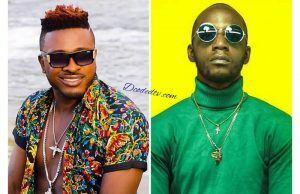 There’s been no statement from Alpha Better Records admitting or not, to the rapper‘s continuous stay at the label. 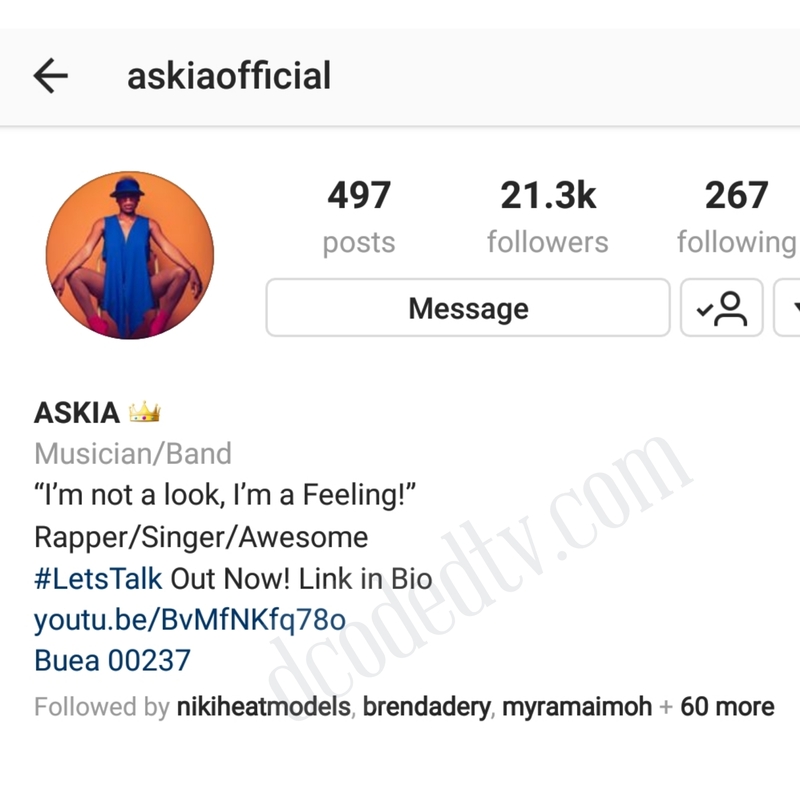 Askia, on the other hand, may have just hinted us on the truth by simply deleting the name of the label from all her social media profiles. All the same, we wish her all the best, listen to ‘Let’s Talk’ by Askia below.